The IBAU Flow-control gate type IBN shows all advantages and features of the worldwide accepted IBAU Flow-control gate. 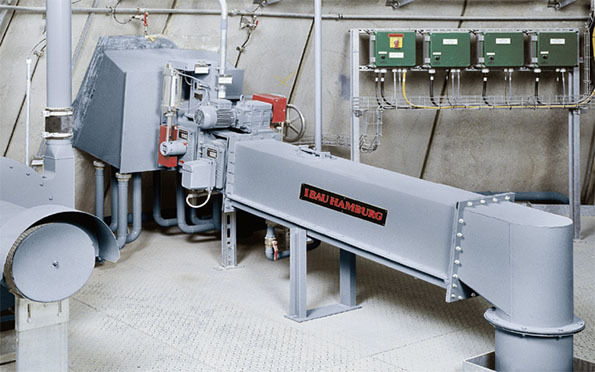 The variations of the basic type with different actuators have in common the extremely high accuracy of a controlled flow of pulverized bulk goods with reproducible results. They require practically no maintenance. However, even good things are subject to wear after many years of good service under severe conditions. Different designs of other flow-control gates may make it necessary to disassemble the complete unit. 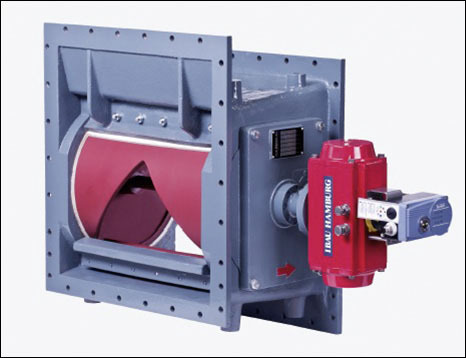 However, thanks to the design of the IBAU Flow-control gate, a complete disassembly becomes unnecessary. Maintenance can be carried out while the element remains built-in. After having taken off one of the side covers the roller can be taken out. The gasket is then accessible and can be replaced if required. Reassembly is done in reverse order. Need help? Fill out our inquiry components form. Easy, online and fast.